USAePay is a payment gateway that connects your bank, your website, and the various credit card systems. 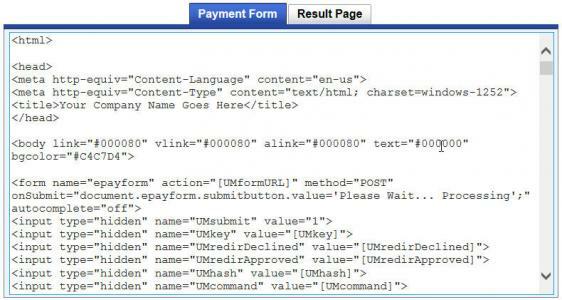 In order for a site to use USAePay a source key must be entered in the Configuration / Payment screen. The images below show the basic steps to get such a source key. The official details from USAePay can be read here. We recommend that you do NOT allow users in the form to edit the billing and shipping addresses. These edits, if allowed, are not propagated back into your HotDoodle site and can cause support issues where the customer asserts something like "Well I changed my mind and told you in the last payment screen to ship it to El Paso but you ignored this and shipped it to Fremont instead". Click the source keys button. Add or select a form. Each "source" is a form with its own choice of colors and HTML. The first section defines the behavior of the form. The next section controls the form contents and look. You may use your own HTML. The last section is where the form goes. 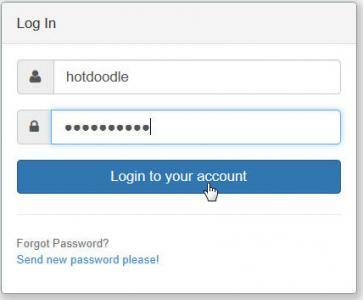 You do NOT need to set the approed and declined URL, they are set in HotDoodle's link to the form. Any value for Transaction Result is ok, but it is best to use their recomendation.